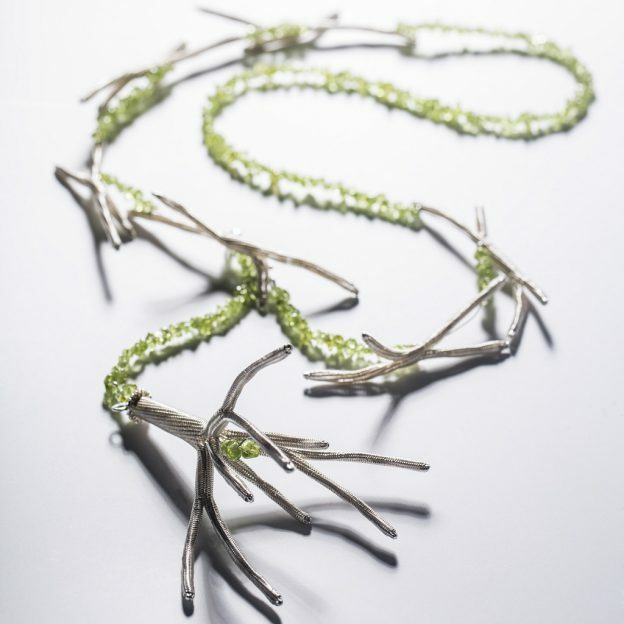 Exhibition with over 60 pieces of jewelry made by gold- and silversmiths from the city of Utrecht. Each of them was inspired by the Oude Hortus (old botanical gardens) in Utrecht. During two weeks the results of this inspiration was shown with unique necklaces, earrings and other jewelry. Schatten van Utrecht (Treasures of Utrecht) is a collaboration between Utrecht gold- and silversmiths to promote their craft with meetings and joint exhibitions. This entry was posted in Exhibitions on 16-05-2014 by Janjaap.